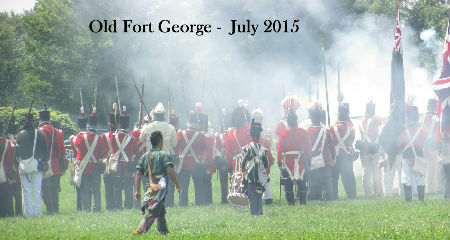 Old Fort George - July 11 and 12 - Niagara-on-the-lake! We can always count on Fort George to treat us very well. We can't say enough good things about our hosts! Despite being a little warm this weekend, the battles, memorial and evening audio visual production went off very smoothly! The Incorporated Militia of Upper Canada is very proud to be able to be a part of this event. Congratulations also to our new two Chosen men - Mark Servos and Brent Thomas.